“I’ll tell you what you did with Atheists for about 1500 years. You outlawed them from the universities or any teaching careers, besmirched their reputations, banned or burned their books or their writings of any kind, drove them into exile, humiliated them, seized their properties, arrested them for blasphemy. You dehumanized them with beatings and exquisite torture, gouged out their eyes, slit their tongues, stretched, crushed, or broke their limbs, tore off their breasts if they were women, crushed their scrotums if they were men, imprisoned them, stabbed them, disemboweled them, hanged them, burnt them alive. In his book, Fighting God: An Atheist Manifesto for a Religious World, David Silverman makes the argument that non-believers should self-identify as ‘atheist’ with the caveat “when it is safe to do so”. He contrasts ‘atheist’ with other terms that are sometimes used such as ‘freethinker’, ‘humanist’, ‘naturalist’ and various others. His argument, and it is a compelling one backed up by data, is that most people have absolutely no clue what someone means when they label themselves as a ‘freethinker’, let’s say. On the other hand, everyone knows exactly what you mean when you tell them that you are an ‘atheist’. I can attest from personal experience that Silverman’s observation is accurate. I’ve used terms such as ‘humanist’ and eventually the question comes up, “But you do believe in God, right?”“No, I’m an atheist” has always my reply. These days, however, in addition to stating at the outset that I am an atheist I always say that, furthermore, I am an anti-theist. So what’s the difference? An atheist is someone who rejects claims for the existence of god due to the complete lack of evidence. An atheist thinks much the same way regarding trolls, fairies, angels, and Leprechauns as they do about god: no evidence at all so the claim of their existence is rejected. Things would be fine if both sides left at that. Unfortunately, the religious never do. This book is a collection of essays written between 2012 and 2014 covering subjects including the collapse of the US economy, the loss of opportunities, the shrinking middle class, and the transformation of higher education into a debt trap by the super rich. While the book is focused mainly on ‘flyover country’ also called the mid-west or the ‘rust belt’ it will also ring true with those in such places as Williamsburg and Greenpoint Brooklyn, where gentrification has pushed out middle class families some of which had lived there for generations. The author successfully predicted the election of Donald Trump and each essay describes the angst that motivated disillusioned voters to cast their vote for him. To be sure, his populist rhetoric set fire to the simmering anger you could easily see at his rallies but populism is a plant that can only grow in a specific type of soil. These essays describe the soil in which his message took hold. In this book the author delves into the perilous depths of predicting the future. Regardless of where you come down on the issues and his prognostications you will be thinking about this book long after you have put it down. The author takes two technologies still in their beginning stages, biotechnology and data processing coupled with ever more powerful AI algorithms and extrapolates the impact these two fields will have to economics, humans and the value of human life. The author uses a broad brush so the reader gets everything from the ‘rose colored glasses’ scenario to a bleak dystopian future chronicling the last days of the human race. One comes away with the impression that both scenarios are possible; it all depends on who gets their hands on the technology first and their subsequent ability to control it. Of particular interest to me were the authors treatment of two subjects: free will and Humanism. Discussions regarding free will have become increasingly popular with a number of authors such as Sam Harris and Daniel Dennett recently releasing books on the subject. Dr. Harari’s treatment of free will is as good an introduction as I’ve seen to the subject. His treatment of Humanism is even better and, while I still have some issues with specifics he has forced me to rethink some of my assumptions and change some of my views. I would love to see Dr. Harari’s next book delve deep into Humanism. His historical approach to understanding a subject would work quite well with Humanism and add a great deal of value to the current discussions. 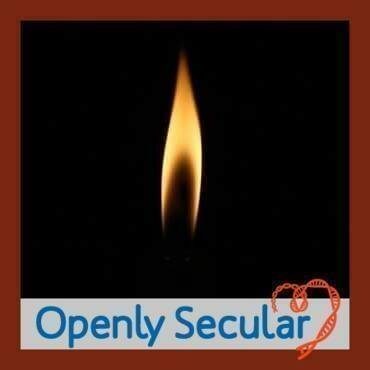 The website publishes a monthly newsletter which can be accessed from their website which, in addition to being very well written, is also didactic for the secular community. The issues facing the secular movements in both India and the United States are fundamentally the same though the particulars differ. The insights that our secular brothers and sisters in India provide on these issues are invaluable. More importantly, there is an instant connection you feel between yourself and the writer; the power of ideas to unite groups and cultures moves from the theoretical to the visceral. Seeing the ideas we both espouse at work changing the political, legal and cultural landscape in both milieus shows the power these ideas have. The power of these enlightenment ideas are still as strong as the day they were born and this gives me hope for future generations. Most importantly, I will be able to have a hand in helping to bring attention to the work that is being done and difficulties our brothers and sisters are facing because of the ideas they hold. These difficulties are far more strenuous than anything we face here in the States and as such each and every one of these brave men and women are inspirations to us all. A quick Google search will turn up articles such as this which illustrate the risks of being charged with blasphemy, or as I like to call it, thought-crime, by the religious fanatics. I am constantly inspired by the bravery of the people who make up the Indian secular movement and am honored to be working with them. This book is a great conversation starter and conversations are what are sorely needed at this point in our country’s history. Casting aside the “it can’t happen here” head-in-the-sand position the author shows that yes, Tribalism, Populism, Nationalism, and Identity Politics can and are happening here and, more importantly gives a lucid and powerful explanation why this is so and what we need to do to counter them. This is first and foremost a secular argument; the author states plainly in the beginning of the book that you will not find God in these pages. This is befitting for a number of reasons. First, it puts the ideas of casting people in the “good” and “evil” camps, which is the surest way to end a conversation and start an argument, on the shelf. Secondly, a secular nation such as ours deserves a secular argument when defending the principles it is based on. These principles are the principles that came out of the enlightenment and are a scant few hundred years old. In contrast, our species is tens of thousands of years old and the societal systems we have evolved under are what we call Tribalism, Populism, Nationalism, and Identity Politics. They “feel” right to us. In contrast, the Enlightenment values of inalienable rights, democracy and the rule of law are foreign to our intuitions and, as such, take work. Work to understand them, work to implement them and work to keep them as the principles of our society. The arguments put forth in defense of this conjecture are lucid and powerful. One may not agree with everything but you will have your work cut out for you rebutting them. Sophistry and jingoism won’t do.